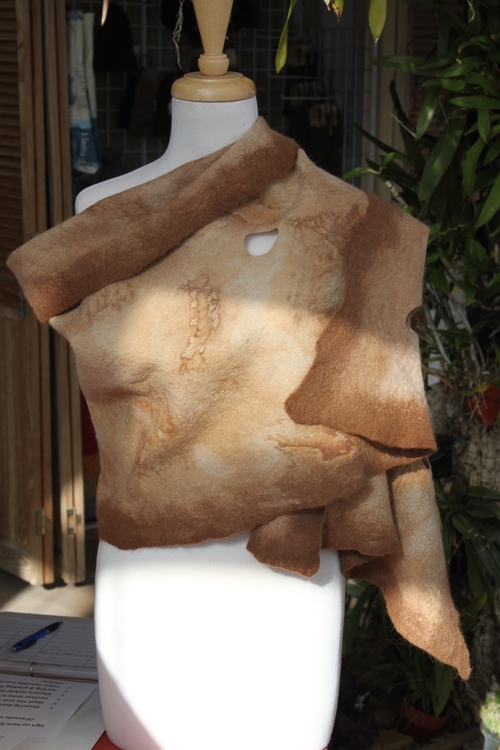 This shawl was created by felting fine alpaca fiber into a length of rust dyed silk. The abstract patterns created by wrapping damp silk in pieces of rusty iron before the felting are unique to every piece. Decorative holes add to the distinctive quality of this shawl. Like most of Barb's felted pieces this piece is wearable art that you can mount on your wall when not being worn. The shawl is light weight, but warm - especially comfortable for autumn days.